What is "self-government" and why does it matter? 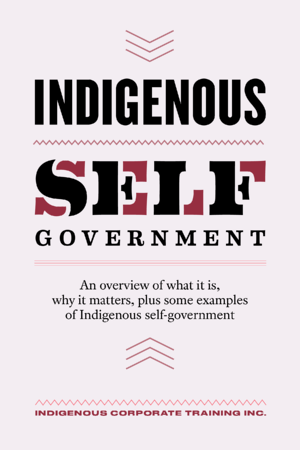 The term "Indigenous self-government" is widely used in Canada, and perhaps equally widely misunderstood which is why we wanted to produce an eBook on the topic. We want to help people understand what self-government is and why Indigenous Peoples want to return to self-government. This free little eBook provides clarity on the term and sketches out some of the key issues underlying the quest for self-government by Indigenous Peoples, and provides some examples of self-government agreements.